At Newk's, great food is our passion. We live for the tantalizing smells, sights, tastes and textures of meals that are made to perfection. Newk's was founded in 2004 by Don Newcomb, Debra Bryson and Chris Newcomb in Oxford, Mississippi. We are obsessed with discovering new recipes and reimagining old favorites - especially our Newcomb Family Recipes. We insist on sourcing the finest ingredients. We are uncompromising about quality from kitchen to table and our dedication to personal service. That's a passion shared by everyone you will meet at Newk's. Scratch-Made Approach - Broad menu of meticulously prepared meals, made from scratch with fresh, high-quality ingredients. Culinary Driven - Unique fast-casual dining experience highlighted by the Roundtable, signature take-home cup, free breadsticks, famous iced tead and large portions. Hospitality First - Exceptional customer service in a comfortable setting that appeals to multiple demographics and is suitable for multiple occasions. That place is in someone else's restaurant. Open kitchens have become popular in the restaurant industry over the past several years. Newk's restaurants do have open kitchens. But our reasons have nothing to do with restaurant trends. Our kitchens are open because we believe in preparing our food in a manner that's open and respectful of our guests' expectations. We have nothing to hide. You won't find deep fryers or microwave ovens in our kitchens. We grill and slice our meats and cheeses, shred our lettuce, roll our dough, bake our own croutons and even mix our own salad dressings. At Newk's, we prepare food for our guests the same way we would do it for ourselves. Fast-casual restaurants are the fastest-growing segment of the restaurant industry, leading industry growth since 2007. 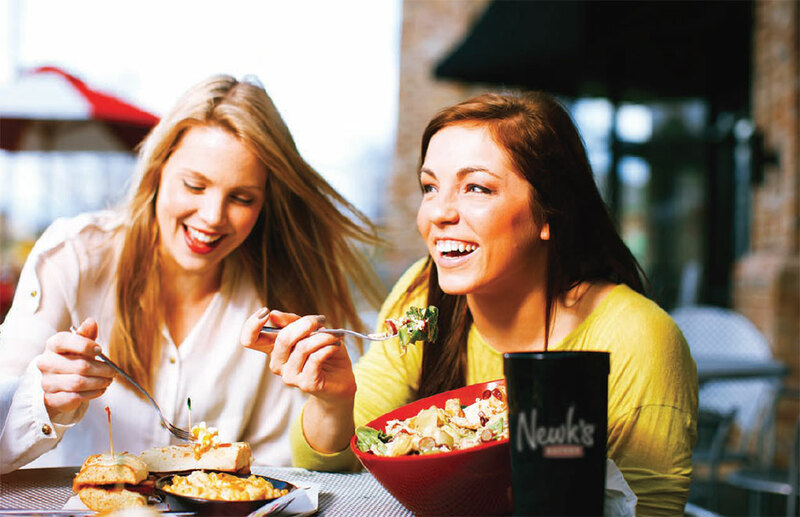 Newk's has significantly outpaced the fast-casual sector due to our unique concept and market positioning.